I’ve been thinking a lot about motivations for things and how that affects what we do. And this quote (I’m not sure where it’s from, but I’ve heard it and read it several times) strikes me as a statement about humility and purpose as defined by God. In those moments, it has become VERY important to remember: I have nothing to prove. I have no one to impress. I have only One to please. Because just because I can do something doesn’t mean I should. And purpose and achievement in the eyes of these wonderful people is not the same as it is for me. I love her to death, and she has been a huge blessing to me, but this conversation stuck in my mind as a reminder of the stark contrasts at play here. Why did I start college here? Because I had no idea what I was going to do, but I knew I needed a degree in something. Business, here I came, and I started my degree early. A year later, I transferred to this university across the county from my house because, despite all my shock at this disruption of my plans (to finish my degree at a Christian college), it seemed God had a plan for me to be here. I had no clue what the plan was, but I was looking forward to seeing it revealed. I agreed to try studying here for a year. Why am I still here? Because by the end of that year I had seen countless reasons, small and big, that God meant for me to be here. I had found linguistics and knew it was for me. I had begun to join a community. I had found a mission field among the students, faculty, graduate students, and staff. I had found opportunities to grow–in knowledge and faith. And so I liked what my friend said about staying for a different reason, because you’ve changed as a person. But I also think it’s important to remind myself of the core reason I started here… because God called me to. And even though the circumstances have changed so much, and the path ahead is much different than I expected, the purpose is still to follow God’s will. Not blind ambition. Not the expectations of others. I have nothing to prove. Not due to my “non-traditional education background” (of homeschooling or how I started my degree), not due to my personal pride. I have no one to impress. “If I boast, it is only in the cross…” (Galatians 6:14). I am not to further my own reputation, but to shine as a light so others see Christ in me. I am to live so “He must increase, and I must decrease” (John 3:30). I have only One to please. 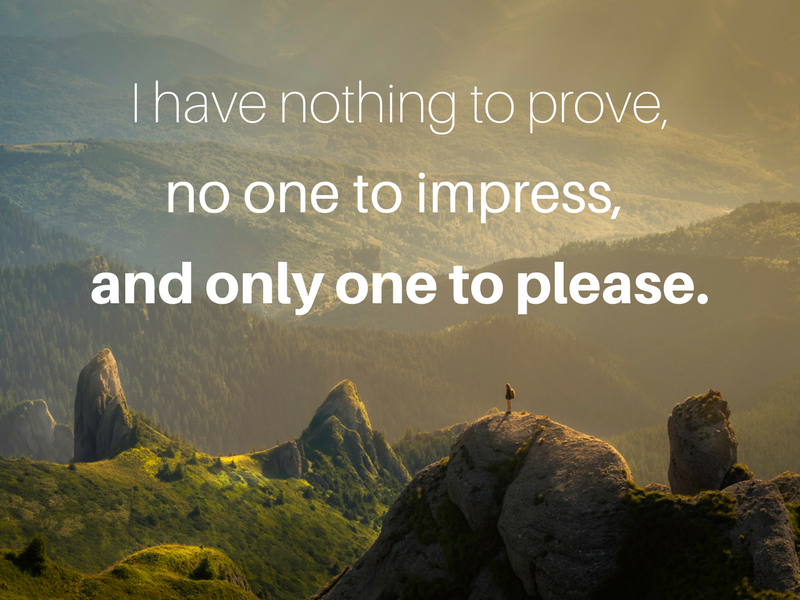 I am not here to please myself. 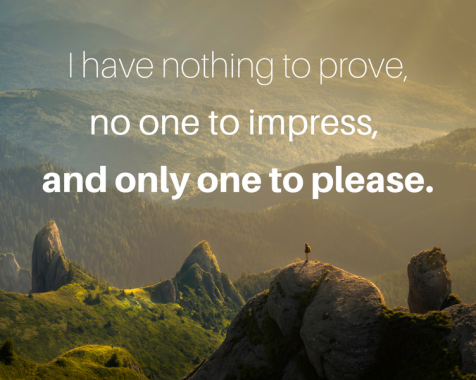 I am not here to please others and meet their expectations. I am here to serve God, and to make choices that please Him. Wow, Amanda! Thank you for sharing the journey that God’s been taking you on. Recently, I’ve decided to pursue an associate’s degree of Bible, and God’s been protecting me from a lot of the backlash I could be experiencing, but there are still times when I get those questions and I know I will continue to, even from my Christian friends. Why waste two years of your life studying the Bible, especially since you don’t feel called into missions? How is that going to be a marketable or profitable degree? Thanks so much for sharing! I think studying the Bible will never be a waste of resources, because God’s Word gives us eternal reward. 🙂 How exciting for you! I am sure it will be a blessing, and hopefully your friends and others will see that in you. I have not yet decided which mission organization I would like to join, but I have looked into several options. Ethnos360 looks familiar, but I haven’t looked into it in detail, so thanks for the link! I will add it to my list to look into more later. Thanks again for commenting and have a blessed day! Thank you for your encouragement! I’m praying that it will indeed be a blessing and a valuable 2 years of my life. I’m always excited to see those being faithful to the call God’s given them to go into missions. Recently, those have been the friends giving me the most support and encouragement in deciding to go to Bible college. Thank you for this post, Amanda. Your words took me back to the decisions and conversations I’ve had over the years – when I prepared to graduate high school, when I prepared to graduate college (with an English degree and no immediate plans to be a teacher), and when I graduated from seminary last year. Even now, this is still a topic I process a lot for myself, and since I work in an Christian academic environment, I talk with current students about how this relates to their lives on a regular basis, too. There’s great wisdom in listening to wise counsel, but like you said, we ultimately live for One. Our greatest treasure is Christ, and our greatest mission is to make disciples of all nations. Even when our path looks a little different. Thank you for sharing your heart and your gift of writing! Absolutely, there is great wisdom in listening to wise counsel, and I am so grateful to have plenty of those people in my life. But it is so important for me to recognize that even though it is right and good for me to respect the instructors God has given me, I must still remember that there are foundational differences in our worldviews and definitions of success. This has been one of the areas of greatest growth in my life since I started going to college here, I think: learning how to live life with others outside of my “Christian bubble” in a balanced way. I have learned that I ought not automatically disregard everything they say, nor should I accept it all without question or prayerful consideration.